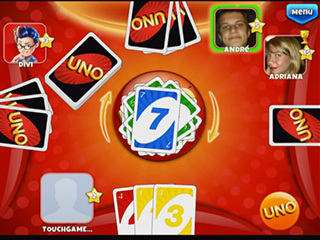 The classic card game of Uno is back in another electronic form! This modern take on a classic will have you playing for hours on end with nifty little graphics as you apply the age-old strategies. There is an addicting new Career Mode that lets the player advance through different levels in six different countries. There are even mini games available. If you have never played this awesome game, then don’t worry, this electronic version is a good way to get acquainted with the wonderful world of Uno. The basic goal is to get rid of all of your cards. The cards will have a color and a number on them. When you only have one card left, you’ve got to say, “Uno!” to let your opponents know that you are getting close to finishing, or else you have to take more cards. 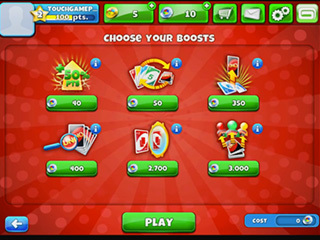 Throughout the game, there are different special cards that change the direction of play, makes your neighbor draw cards, skips a player, changes colors, or even changes colors and makes your neighbor pick up more cards. 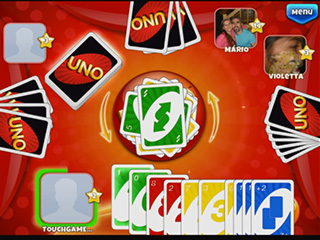 This electronic version of Uno allows the players to make up their own customizable and animated avatars. Real cute! There are five different game types to choose from: Standard, Duel, Drop-Out, Jump-In, and Partner. As you go along, there are different things that you can unlock, such as new themes, different card styles, and even powers, like Freeze. This video game is a great twist on the card game classic, and even adds new elements, like world travel that we can’t get with the physical card game. Not to mention, you don’t have to shuffle the mega two-deck sized deck of real Uno cards. Awesome game! Check it out today! This is UNO � & Friends review. Download this game here.